Judging by the number of coin proof sets that have been issued in Elizabeth II’s reign, they have become very popular with collectors. But these Royal Mint sets date much further back and are now sought-after at auction. Three excellent 19th century examples sold in the Coins, Historical Medals and Paper Money auction held by London saleroom Dix Noonan Webb in London on December 13-15. Proof coin sets were originally made to check the dies used to strike coins or for archives, but today the meaning is more one of special commemorative sets in limited editions for numismatists. Two of the sets sold at DNW were on the market for the first time in almost 80 years. The highest price was for a proof set of eight coins bearing the head of George IV and dated 1826. It comprises four gold coins – Five and Two Pounds, Sovereign and Half-Sovereign – and four silver coins – Crown, Halfcrown, Shilling and Sixpence – displayed in a 19th century custom-made gilt-blocked case. The catalogue described the set’s condition as “minimal hairlining, about mint state and brilliant, the silver with dark matching tone”. The set was last on the market when it was auctioned on February 24, 1938, selling for £35 (£2187 at today’s values) and has remained with the family of the purchaser ever since. The estimate was £100,000-120,000 but bidding went quickly beyond that level to a hammer price of £130,000 paid by a commission bidder, an American collector. 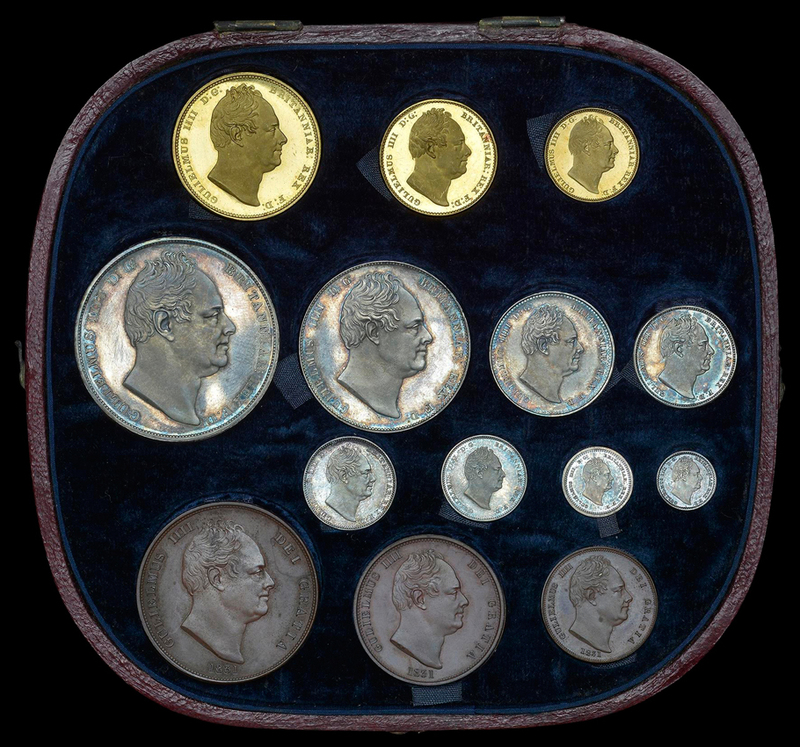 Proof set of eight coins bearing the head of George IV and dated 1826 sold for £130,000 at London auction house Dix Noonan Webb on December 13-15, shown in its case. The second proof set from the same source was from the reign of William IV and dated 1831. The 14-coin set had not appeared on the market since March 4, 1938, when it fetched £33 at auction (£2062 at today’s prices) and like the George IV one had remained with the family of the purchaser ever since. It was bought by a Japanese collector for £65,000 against an estimate of £40,000-50,000. A third proof set from 1887, comprising 11 gold and silver coins bearing the head of Queen Victoria, matched its upper estimate with a hammer price of £36,000 paid by a room bidder. 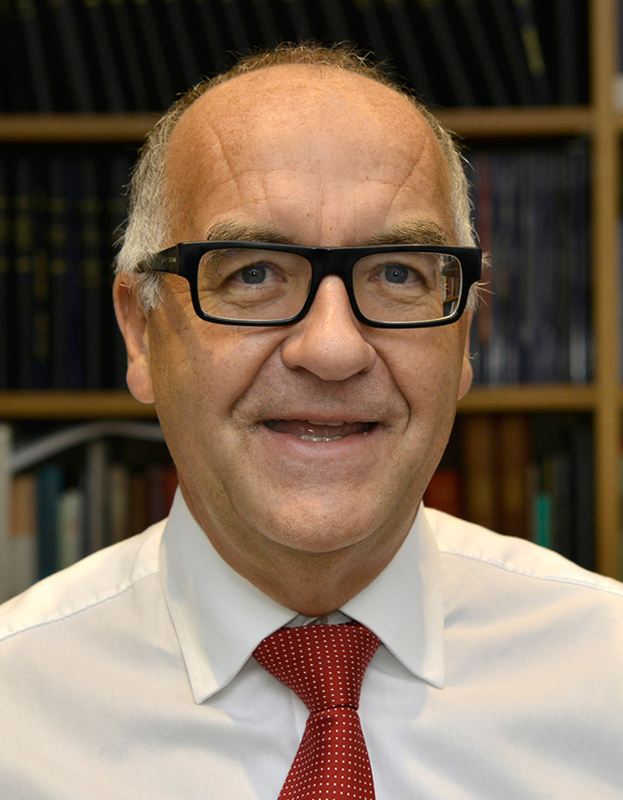 Christopher Webb, head of the coins department at London auction house Dix Noonan Webb. The 1826 set must be one of the very earliest official Royal Mint sets issued. Christopher Webb, head of the DNW coins department, says proof sets were struck “in odd years”, including 1746, 1820, 1826, 1853, when the purpose is unclear. However, they were generally struck for coronations and jubilees. In 1927 a set was struck to commemorate the new coinage, but, for example, others were struck in 1950 to commemorate the mid-century and in 1951 for the Festival of Britain. 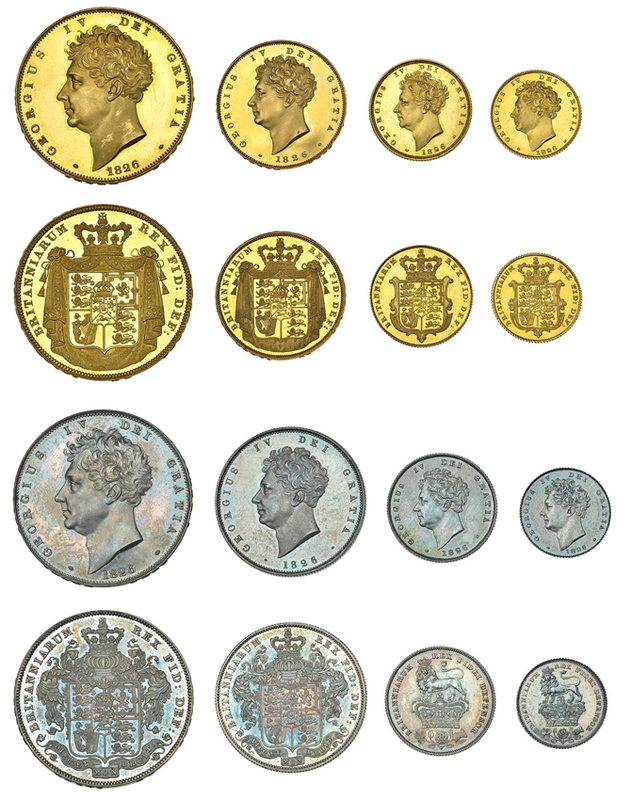 In 1953 a set was struck for the coronation that was sold to the public, but also a gold set was struck for institutional collections, although two or three Proof Sovereigns of that year have appeared on the market. From 1971 a set has been produced for each year, sometimes more than once, Webb says. On September 22 Baldwin’s of St James’s set a new record for a British five pounds piece when a “good, extremely fine” example of the 1839 ‘Una and the Lion’ five pounds coin took £340,000. It was twice the previous high for the coin and considerably more than had been bid earlier in Coinex week for the full 1839 proof set. Ranked among the beautiful and most-wanted of all British milled coins, the gold five pounds was part of the first coin issue of Queen Victoria created in 1838, shortly after she had come to the throne. There is little evidence these coins were made for general circulation, with most collected as commemorative issues. The previous week, on September 14, a proof set of the full array of the ‘Una and the Lion’ coins from 1839 (featuring the five pounds to the farthing) sold for £220,000 at DNW. The set of 15 coins was in virtually mint state and housed in the original contemporary fitted case. This set had been in a private collection since February 1938 when it had been bought at Spink for £37. In March a ‘Una and the Lion’ five pounds coin (with some minor surface marks) left its estimate far behind when it fetched £170,000 at DNW. Also at the December 13-15 DNW sale, a rare gold Half Angel coin from the brief reign of Richard III, found by a metal detectorist near Bosworth Field, where the king died in combat in 1485, more than doubled its pre-sale estimate fetching £34,000 hammer price.